From the New York Times bestselling author, a novel of suspense and emotional justice. Mindy Kostis succumbs to the pressure of being a surgeon’s wife by filling her days with social events and too many gin and tonics. But she doesn’t know that her husband and her son, Evan, are keeping secrets from her—secrets that might destroy all of them. 1. 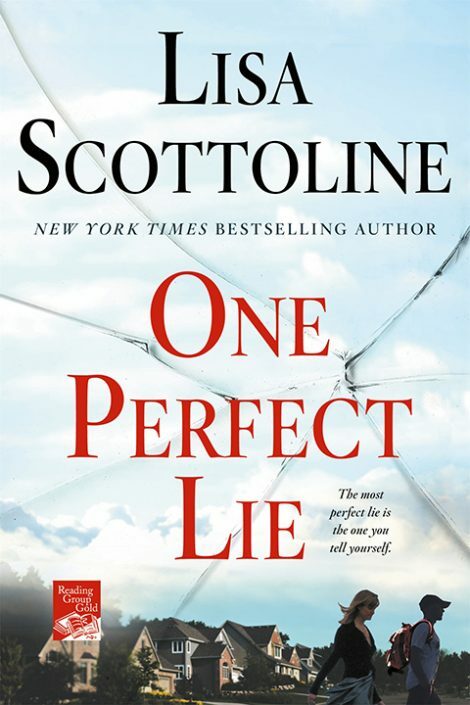 The tagline for One Perfect Lie is: The most perfect lie is the one you tell yourself. Confession time! What is the biggest lie that you tell yourself? Have you ever been fooled by someone who pretended to be someone they weren’t? Why were you fooled in retrospect? How did you deal with them? 2. In One Perfect Lie, the setting seems like the ideal suburban town, but things are not as rosy behind the scenes. The same thing happens with social media, where everyone’s life seems so perfect. Are you on social media? In what ways is it good, and in what ways bad? What do you like and dislike about it? What kind of Facebook poster are you? Only happy things? Never post, just comment on others? Post everything, including your meals? 3. The moms in this book are “baseball moms,” meaning their boys (or girls) play baseball, and they support them in their sport. Sports are such a vital part of our culture and childrens’ childhoods, yet the term “baseball mom” or “soccer mom” almost has a negative connotation. Why do you think that is so? In what ways are moms vital to the youth sports in America? What do you think of the youth sports culture today and how has it changed since you were young? Do you have a proudest Mom Moment, sports-related or otherwise? 4. In the book, we see how competition can come between best friends. With sports comes competition— it is inevitable—but it can also cause problems. How do you define healthy competition? When does it become unhealthy? Have you ever lost a friendship over competitiveness? Have you ever had a situation with your child where competitiveness became an issue? In what ways have professional sports increased the competitive nature of sports? 5. Evan, one of the teen boys, suffers from “affluenza.” What is your understanding of what that means? Do you think affluenza can serve as an excuse for bad behavior? Do you blame the child, the parent, or both in cases where teens act out of control? How do parents of financial means balance giving their children a good life with spoiling them beyond repair? In what ways are the teens of today better off than the older generation, and in what ways are they facing worse conditions? 6. Without giving anything away, there is an “end justifies the means” situation in the book. How do you feel about this philosophy? Have you ever used this as a justification for something you have done in your life? If so, when? Has someone ever used it as an excuse for something they have done to you? How did it make you feel? Did you agree or disagree? 7. There are many different family configurations represented in One Perfect Lie. Which family do you relate to the best? What are the benefits of each situation, and what are the negatives? Have we, as a society, become more accepting of nontraditional families? Do we do enough to support single parents? What can be done to make absentee parents more responsible for their children? Do you think it is better for children to spend time with a mother or father who is a bad influence or are they better off not seeing the parent at all? 8. Parenting teenagers is not easy, just as being a teenager is not easy. What are the challenges of parenting teens? What are the challenges of being a teen today? In what ways can we as a society try to bridge the gap between parents and teenagers? What kind of teen were you? How did your parents react? What things did you emulate from your parents, and what things did you vow to not duplicate? 9. Sexting, or sending naked or sexual texts, is commonplace these days among teens. Why do you think that is happening? Who do you think is responsible for the increased sexual activity of our young children? How can we protect our children, while still allowing them some freedom and showing we trust them? Have you experienced any situations where your child made a mistake with something they posted on social media? What was the fallout, and how did you react? Should we let children make a mistake before we monitor them? Do you monitor your child’s social media? Do they know it? 10. 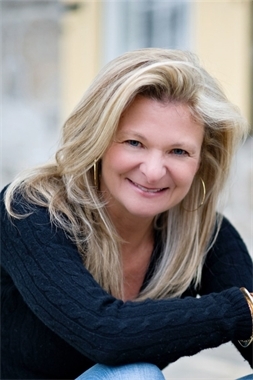 In the book, Jordan’s mom reprimands Raz, with good reason. How would you feel if another parent scolded your child, no matter what the age? Do you believe it takes a village to raise a child? If you observe a child you know doing something wrong, do you say something to the child? To the parent? Have you ever informed a parent of another child’s actions? What was their response? Would you do it again?